Signs & Symptoms: HSV causes oral lesions or “cold sores”. These heal in 2 – 3 weeks but the virus does not leave the body and may reoccur at a later time producing a milder infection with another cold sore. This may happen again and again during the infected person’s lifetime. the person is under stress or when immunity is low. Who is at risk: Anyone who comes in contact with the virus is at risk, especially children and people with lowered immunity. 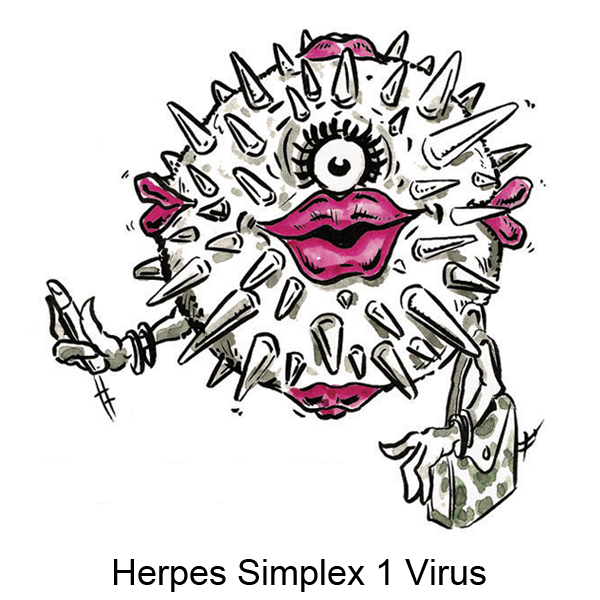 Prevention: Don’t kiss anyone who has an obvious cold sore. Don’t touch cold sores or pick at them when they are healing. Wash hands after touching a cold sore.